What is in my box? Our Bridal Boxes are perfect for all new brides! 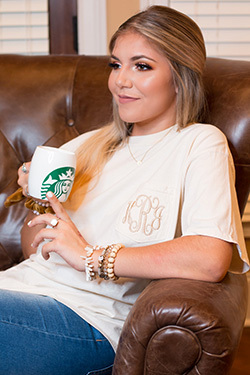 We include monogrammed gifts, bridal tees, drink ware, stationary, and Much More! We believe quality matters! 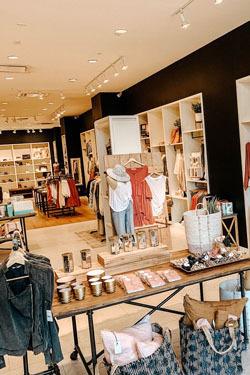 We include high end bridal merchandise from Moon & Lola, and more! 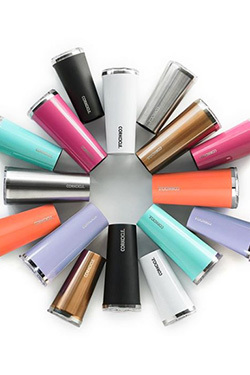 Other fav brands featured in our Bridal Boxes include Camelbak, Tervis, Corkcicle, Atx Mafia, Southern Darlin' and more! Create your bride's profile and we will customize your box according to your wedding date! Wedding colors may also be used on some of the fabulous goodies in your box!! Bridal Boxes contain 2 items each month. Our Bridal Box Sampler contains 1 item each month. Some items are monogrammed. Bride's monogram and His & Hers monogram is used on monogrammed items. Our boxes are packaged in white boxes & pink bubble mailers. T-Shirt Size: Our t-shirts are a womens/unisex fit. The tee size you would choose for Simply Southern tees is the size you would want to include here. We do not typically send Simply Southern tees in our Bridal Boxes as they do not have a Bridal theme. However, the sizing you would follow for Simply Southern will be accurate sizing. Your credit card will be charged on the first of each month and your Bridal Box will be shipped by the 31st. Your first Bridal Box usually ships within 10-14 days. Rush orders are accepted and ship within 3 days. Just send us an email to request a rush order- customerservice@ginnymaries.com Each additional box is billed on the 1st and ships around the 31st each month.